Ordinary residents can’t fire Lester because the powerful CCC is an unelected body and none of the commissioners ever comes before the voters. As Barboza has it, former CCC boss Peter Douglas “chose Lester from within the ranks of the agency as his successor, and the commission appointed him unanimously in 2011.” So it’s kind of a hand-me-down thing, and the boss makes the call. 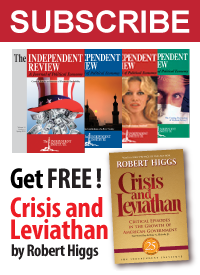 Douglas, Barboza explains, was “an aggressive and hard-nosed environmentalist, spent more than 25 years running the commission and advocating forcefully for its independence.” Douglas was actually a regulatory zealot of considerable ferocity, with a complete disregard for the property rights of the people. The California Coastal Commission was Douglas’ private fiefdom, a combination of Stalinist-style regulation and Mafia-style corruption. On Douglas’ watch commissioner Mark Nathanson served five years for bribery and Douglas is on record that more of that was going on. The CCC has made the coast a millionaires’ enclave and driven development into hotter inland areas, where energy demands are higher. 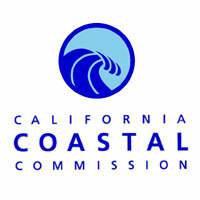 The CCC is also expansionist, intruding into inland issues such as landfills. Activists also ply the unelected CCC on animal management and even surfing tournaments. The beef against Lester, an attorney, is not exactly clear. Some see an attempted coup by pro-developer interests while others find a protest against bureaucratic lethargy. However it shakes out in a February 10 public meeting, the basic problems remain. The CCC shows how government progressively becomes more intrusive, more expensive, and less responsive to the people. The voters, taxpayers and duly elected governments of coastal counties and cities are entirely capable of overseeing land-use and environmental concerns. It would be nice if ordinary residents could fire Lester, the commissioners, or CCC staffers who abuse the public. What ordinary residents really need is the opportunity to eliminate the CCC, a powerful agency California doesn’t need.